This Grade II listed house, built in 1606 stands in the shadows of York’s Gothic Minster and is reputedly the first house to be built after the completion of the minster. 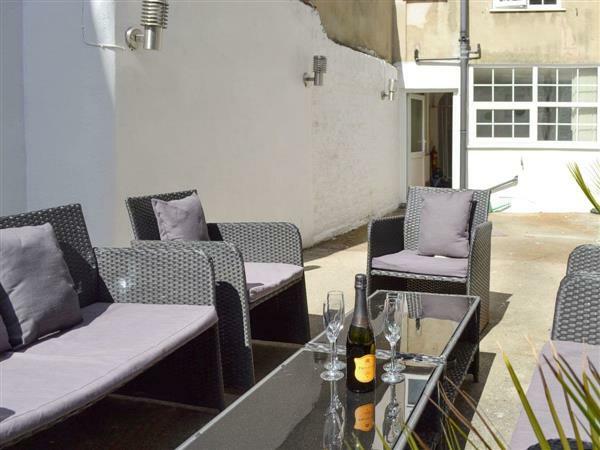 Retaining many original features, it is set over four floors and is ideally located in one of the most picturesque streets in the very centre of the city with an excellent variety of shops, inns and restaurants at your doorstep. There is a plethora of activities and attractions to keep you and the family entertained in all weathers all year round including theatre, art gallery, multi cinema and river cruises, all within 500 yards. The National Railway Museum, Jorvik Viking Centre and Castle Museum, all within ¼ mile. There are numerous other attractions and sites to see in the city, including a leisurely walk around the city walls or along the banks of the River Ouse. You can discover numerous snickleways and alleyways running between the old cobbled streets, and a stroll down the narrow, cobbled Shambles with its range of curio and gift shops is a delight. Within easy travelling distance are various attractions including Castle Howard where the TV series ’Brideshead Revisited’ was filmed. An ideal holiday base. The North York Moors National Park, 25 miles. Heritage coast, 40 miles. Race course, 1 mile. Shops 5 yards, pubs 20 yards. Ground floor: Dining room/kitchen. Slightly narrow stairs to first floor: Living room. 1 single bedroom with additional pull-out single, bathroom with shower over bath and toilet. Second floor: 2 double bedrooms: one (four poster) double with en-suite shower room and toilet, both with beams. Very narrow, winding stairs to third floor: 1 twin bedroom with beams and sloping ceiling. Separate toilet. Gas central heating,electric, bed linen and towels included.Cot. High-chair. Video. Electric cooker. Microwave. Washer/dryer. Dish washer. Freezer. Large enclosed courtyard and furniture. No smoking please.Holidays run from Friday to Friday. For a better idea of where Belfrey House is, you can see Belfrey House on the map below. Belfrey House is in North Yorkshire; should you be on the lookout for a special offer, you can find all the special offers in North Yorkshire. It's always worth checking to see what is on offer at the moment. Do you want to holiday near Belfrey House (17827), you can see other cottages within 25 miles of Belfrey House; have a look to find your perfect holiday location.